The singer-actress opened up about one emotional scene from the hit movie that didn't require much acting on her part. 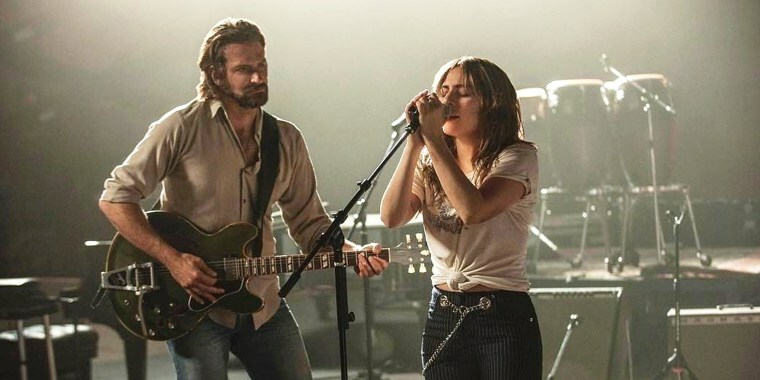 Lady Gaga has received rave reviews for her acting in "A Star Is Born" — as well as a number of nominations and even one Best Actress win — but one of the most-memorable scenes from the movie didn't take a lot of acting. When she sat at the piano for her heartbreaking finale performance of "I'll Never Love Again," the pain audiences witnessed was all too real. "I remember that day very unfondly, in a way," Lady Gaga explains in a featurette included in the film's iTunes and upcoming DVD/Blu-ray releases, according to PopSugar. That's because the grief she portrayed on-screen came from channeling a true grief that she was feeling in that moment. The managing director of Haus of Gaga, her best friend Sonja Durham, died from stage four breast, brain and lung cancer that same day. Although the cast, including director/co-star Bradley Cooper, was willing to hold off on the scene, Gaga said that Durham's husband wanted her to go on. The featurette reveals that Gaga asked the extras in the room for the performance to assist her. "If you could help me today, and really think of not just (Sonja) but how it feels to lose someone, think of her husband maybe, for me," she says. "I think that energy will penetrate this room. I think she'll hear it." Those who saw the performance certainly felt that energy. In March of 2017, shortly after her loss, Lady Gaga shared a message about Durham on Instagram — and about the lasting impact she'll have far beyond any scene. "I will live everyday with more passion, more determination, more compassion and more giving than ever before," the star vowed. "Because that's who she was, and it's what drew us to each other, and I know it's what she always wanted for me."